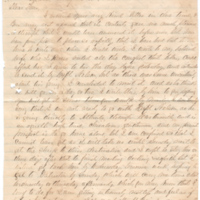 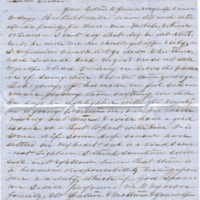 A letter from Fannie that discusses the gardens of Walnut Grove and also the conditions of Fannie's family. 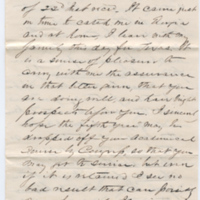 Letter written by Henry asking Tom if he could borrow “either a horse or mule” for an upcoming trip. 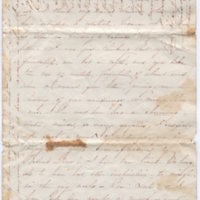 1 handwritten page. 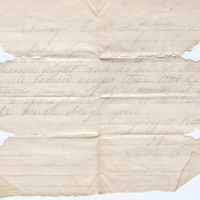 A small slip of paper, written on both sides with edges (with words) cut off. 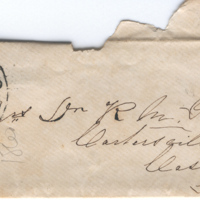 It seems to be a receipt book page with entries covering the years 1858 - 1861. 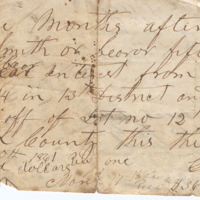 It may have been for property loans. 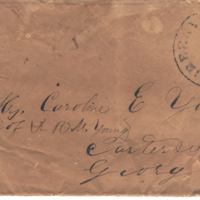 The only name that appears on it is Geo Wm Young. 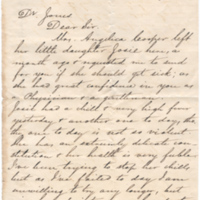 Hicks asked Dr. Jones to come take care of a child that was left with her. 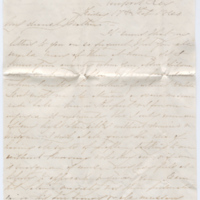 One handwritten page. 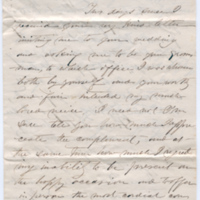 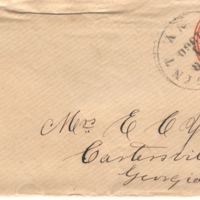 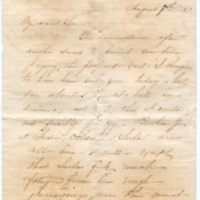 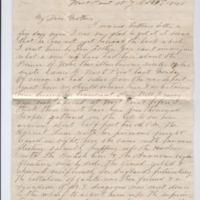 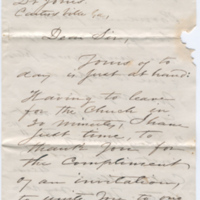 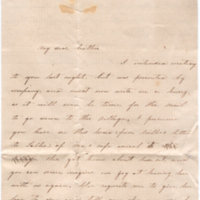 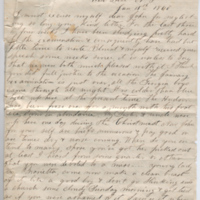 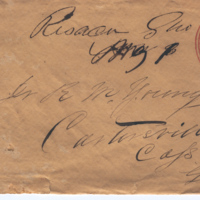 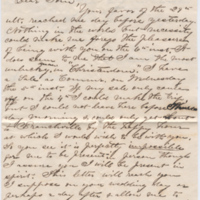 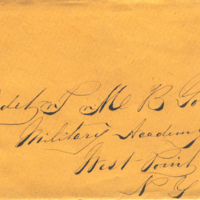 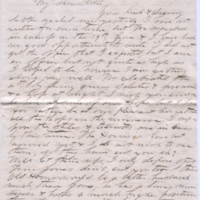 John M. Jones wrote to his cousin to Thomas to express his regret for having to decline an invitation to Thomas and Louisa's wedding, as well as an invitation to be a groomsman. 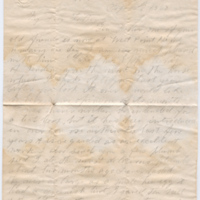 3 handwritten pages.